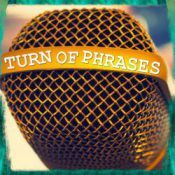 A podcast about turning phrases inside out. © 2019 TURN OF PHRASES. All Rights Reserved.